A quick review for this remarkable YA-goes-Victorian-gothic novel from last year, recommended to me by family and friends. Can lies, disinformation and fakery ever serve a higher purpose? What if you felt so passionately about an as-yet indeterminate truth that you were willing to fabricate evidence in its favour? To what extent to we make our own reality? Frances Hardinge's The Lie Tree wraps these questions in a 19th century magic realist murder mystery and tells the surface story so elegantly it's easy to overlook the themes that lie below. The tree of the title is both the central metaphor and the plot engine for the book. A legendary plant, when fed with a widely believed falsehood or rumour, it grants its keeper oracular visions of the particular truth they seek, be that as mundane as one's medical condition or as profound as evolution. People will kill to possess the Lie Tree for the answers it purports to give, as the novel demonstrates. One such unlucky owner and murder victim is the Reverend Erasmus Sunderby, a fossil expert drawn to a remote island with his family under false pretenses. His young daughter Faith's clandestine investigation of his death and burgeoning relationship with the Tree forms the heart of the novel. One of the great thing about a whodunnit is that it provides a clear foundation for a book - the pendulum of suspicion can swing back and forth, clues are progressively accquired, new insights into character are gained. 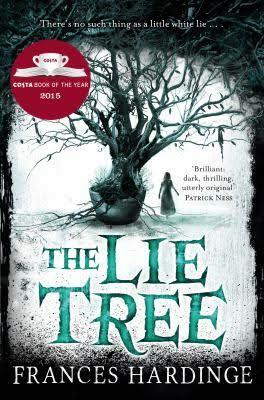 The Lie Tree is a very nicely structured book in that sense. But, more than that, it means that Hardinge can weave in sophisticated themes around this tough yet flexible structure, like the phantasmagorical experience of grief, the evolutionary debates of the Victorian era and the limited options facing middle class women of the time. These very much enhance rather than detract from the story itself. A real doozy of a concept, then, but also a very good, extremely readable book. The radical centre - a place to be?